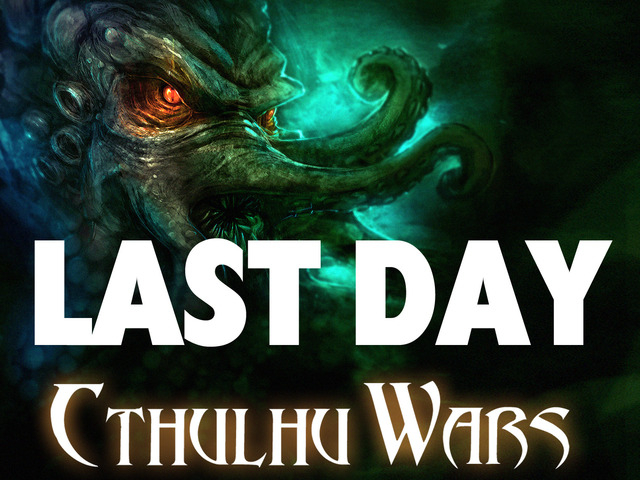 Ironhaus Productions OZ: FUTURE - CTHULHU WARS Miniatures Board Game Final Sculpts! FUTURE - CTHULHU WARS Miniatures Board Game Final Sculpts! Cthulhu Wars by Sandy Peterson and Green Eye Games is a miniatures tabletop strategy board game inspired by the literary works of H.P.Lovecraft and was successfully funded on KickStarter mid 2013 which I covered on my blog HERE, the WIP sculpts HERE, and another update HERE. The scheduled release time is fast approaching (estimated March 2014) and ALL the games sculpts have been finalised by Fenris Games and their production is now well and truly underway. Needless to say I cant wait to get my hands on this game! Here are the pics of only some of the finalised sculpts that will appear within the game and its many expansions. The two Player Markers, Asenath Waite and the legendary H.P.Lovecraft himself. From left to right; Mi Go, Servitor of the Outer Gods, Azathoth, Dimensional Shambler & Star Vampire. Gug, Ghast & Leng Spider. Ghatanathoa (?) and High Priest. Gobogeg (original Great Old One) & Azathoth. Mother Hydra & Father Dagon. So there you have some of the completed figures that will be included in the Cthlhu Wars game & Expansions in the next few months (hopefully)! I really like a lot of these sculpts, and think Fenris Games did an amazing job at sculpting them. What do you think? I just bought the core game for $150.00 & would have paid more if I had to. it's fabulous. I can hardly wait for the expansions to come out. if you like lovecraft buy this game! Couldn't agree more, this game is insane! I'm dying for the expansions, it's a real treat to see the minis in person. Thanks for posting!